It’s 7 a.m., and your alarm goes off. You hit snooze a few too many times until you’ve reached the last possible second when you can get out of bed and into your car to make it to work on time. Even by the time you’re at your desk, you still haven’t fully woken up, and your mind is definitely still in sleep mode. The hours pass by and you still can’t seem to shake off this feeling of fatigue and sleepiness. You feel foggy-minded and can’t seem to focus and concentrate on the tasks at hand for the day. Maybe this is the first time you’ve felt this, or perhaps this is what you experience on a day-to-day basis. While there are some easy remedies for your fuzzy-feeling brain — like forcing yourself to wake up a little bit earlier to clear your mind before you start your day — there is another way to combat your lack of daily focus and concentration, and that is: regular exercise. Yes, we know — this isn’t what you were hoping to hear. Exercise seems to be the answer to many of our ailments, and much to our chagrin. But when it comes to how the human brain functions during the day, exercise and overall fitness play a significant role. The health of your mind and brain is just as important as the health of your body, and getting into a fitness routine will clear your mental fog. If you have experienced foggy-brain, or are having a hard time concentrating on your work, today’s blog post is for you. 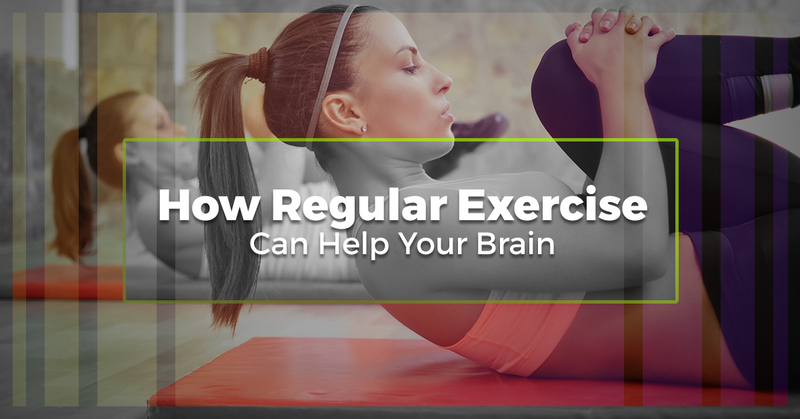 We’re going to be sharing why and how regular exercise can benefit your brain functions, and we’ll be giving you exercise tips to follow for optimal body and mind health. Let’s get into it so you can shake off that looming mental fatigue! Like any other muscle in your body, your brain needs to be exercised to stay in the best condition and to function correctly. But you don’t have to purchase separate brain stimulation exercises to give your mind a good workout. In fact, simply grabbing your sneakers and heading to your local gym or fitness center for a workout can give your brain a boost. Have you ever noticed that after a good workout you feel better, are happier, and perhaps even sleep more soundly? This is due to the behavioral boost and an antidepressant effect that exercise gives you. In fact, the feeling you get after working out — often called a “runner’s high” — is actually due to a reduction of stress hormones that comes with exercise. When you work out, you’re increasing your heart rate, which in turn, sends more oxygen to your brain. This then releases hormones which work to grow your brain cells. A study from Stockholm actually showed the correlation between physical exercise and cell growth in the area of the brain associated with learning and memory — the hippocampus. This is why after a good workout, you feel as if your mind has been cleared. And with this comes a variety of benefits, including feeling happier, less mentally foggy, and more focused — all attributes that can benefit your work performance. While you may be tempted to hit snooze for as long as possible, getting into the habit of waking up a little bit earlier to hit the gym before work will do wonders. Not only will you be starting your day on the right note, but you’ll notice improved concentration, memory, and productivity during your workday. If you’ve hit a wall and are feeling bored and time-strapped at the gym, try a circuit workout. You’ll not only be getting the cardio your body and mind need, but you’ll be switching up your normal routine. Even if you’ve already been to the gym that day, but are still feeling a little mental fatigue, take a few short breaks throughout the day to briskly walk outside or do some jumping jacks. The short boost of cardio will do wonders. Are you looking for a gym to join to combat physical and mental stressors? Optimal Health Medical Fitness is here for you. 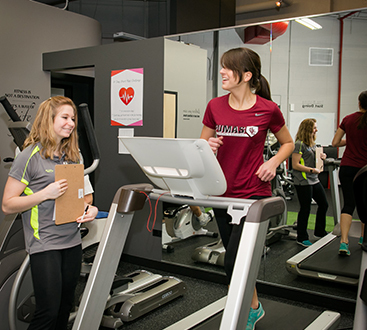 We are an innovative fitness center that is dedicated to helping our community work toward healthy lifestyles with our personal fitness training, group classes, and consultations. 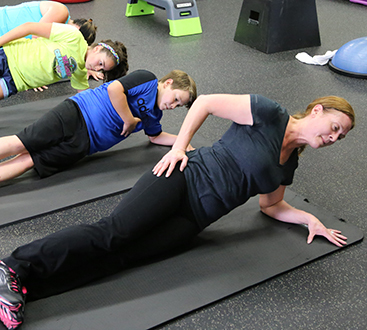 Learn more about our fitness options, sports medicine services, and group classes and get involved. Give us a call today.